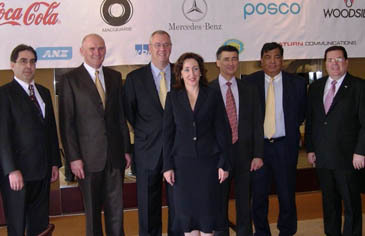 Ambassador Jane Coombs of New Zealand (center) poses with ANZCCK members in a Seoul hotel on May 9, 2006. 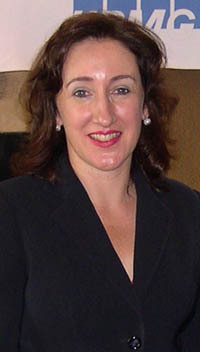 Ambassador Jane Coombs of New Zealand spoke on "NZ and Korea — My Goals and Aspirations" at an ANZCCK (Australian and New Zealand Chamber of Commer in Korea) gathering on May 9, 2006. The New Zealand's top envoy was invited to the ANZCCK Breakfast Meeting to be held at 7:30 a.m. on the day at Namsan Room III of Grand Hyatt Hotel in Seoul. The following is the full text of her speech. Let me start by saying how pleased I am to have been invited to speak with you this morning. You represent in large measure what it is I, as a Government representative, am trying to achieve here – namely a prosperous trading relationship and a business relationship that promotes and stimulates investment. Through your activities here you will foster an environment in which New Zealand and Australian goods and services achieve a reputation for quality and so you help open the way for other New Zealand and Australian businesses to establish a presence here and to prosper. A very noble circle indeed. I wanted to talk to you today about what I want to do here, how I can play my part in this noble circle, what my goals and aspirations are for my term here. As you know, the relationship between New Zealand and Korea is busy, active, diverse, encompassing both security and economic aspects, founded on historical connections that started during the Korean War, and fostered by increasingly rich set of people-to-people links based on the flow of tourists, students and immigrants. My job is to harness all this positive energy and direct it in a way that advances New Zealand's interests, in their broadest articulation, to maximum effect. Let me first put the relationship with Korea in its broader context. New Zealand's interests are intimately connected with the Asian region. Asia is no longer just important to us – it is critical. NZ makes a significant part of its living here in Asia. The emergence of China is the phenomenon of the 21st century that we absolutely have to grapple with. The size of the economies of Japan and Korea mean that they present significant opportunities to us. Yet this is a region which still has some serious, unresolved security issues to contend with. Not to mention the new set of problems that arise from globalization. Positioning New Zealand in this region, securing influence in the evolving regional architecture of the region, contributing to regional solutions to regional problems, - these are core NZ priorities as we pursue our security and economic prosperity. I regard my efforts here in Korea as fitting into the context of this broader set of interests. Let's talk about New Zealand's economic prosperity. New Zealand fundamentally depends on trade to make our living, and to provide consumers with access to a wide range of products and services that are not produced within New Zealand. We learnt the hard way that we can never take the status quo for granted when almost overnight our "monopoly" market of UK was taken away from us when Britain joined the EU. NZ has to make its way in the world. Standing still is to go backwards. I firmly believe that a key role of Government is to continue to support market penetration and push for more market opening, even in economies with which one has a positive trading relationship, as is the case here in Korea. Korea is already NZ's 7th largest trading partner. Korea is a particularly important market for logs, for beef, for dairy. No doubt some of you in this room are intimately involved in trade in these commodities. I would very much like to see these traditional markets expand, and for new products take hold here. Wine is particularly promising, with 78% increase in sales last year, and over 100% the previous year. NZ will always be a niche wine provider, as we can never produce the quantities of Australia or Chile. But we do provide quality, and we can – and should – seek to ride the wave as Koreans develop a taste for wine. I was surprised when I was told that Koreans consume on average ½ of a bottle of wine a year – probably less than the average daily consumption in this room! The scope for growth in this market is phenomenal. I will also want to keep chipping away at some of the regulatory restrictions which are inhibiting New Zealanders' access to this market. It is always the role of Government to monitor the regulatory and other frameworks of our trading partners to ensure that conditions are transparent, fair and the least trade restrictive necessary. Deer velvet, for example, faces a major tariff barrier (?) which essentially means that NZ can only export whole antlers, rather than the value-added, and more profitable, sliced deer velvet. I would like to see the playing field leveled, so NZ can compete properly with the illegal imports that are currently coming in from Russia ... (Stefan, to complete). Potatoes. If we could only reach agreement on reasonable quarantine requirements, Korea could potentially represent a $x market for NZ potato growers. I would love to be able to serve NZ potato in my time here. Forestry is another area of still untapped potential... NZTE to complete. All these commodity exports are and will continue to be very important to New Zealand's prosperity. But the New Zealand Government also sees that our future prosperity requires an economic transformation. Success in the 21st century is as much about knowledge as it is about labor force. We need to build capacity at home, and we need to seek improved flows of investment, skills and technology into our country. This will be one of my key goals, as my country's representative. I hope you all enjoyed the beautiful scenes of New Zealand in the videos we played for you during breakfast. This image of NZ is very important. It underpins our reputation as a producer of clean, fresh, safe food. It underpins much of our tourism. And Korea is a very important tourism market for NZ, sending over 100,000 tourists last year. But I want to make sure that Koreans see New Zealand as more than a land of beautiful scenery. I had a fascinating conversation a few days ago with an elderly Korean man who told me that he had been very surprised when Sir Edmund Hilary climbed Mt Everest, as based on all the pictures he had seen of New Zealand, he had thought that New Zealand was entirely a country of flat pastures. He had been surprised that New Zealand could produce a mountain-climber, as he had no idea New Zealand even had any mountains! I need to make sure that Koreans are getting a balanced set of images of modern New Zealand. You are probably aware that it was a NZer who first split the atom in ... , but how many of you knew that ... (some egs of NZ scientific expertise). Ambassador Jane Coombs of New Zealand has good time with her family in Seoul. Peter Jackson's digital technology and skill is now internationally renowned. NZ now has some of the best post production facilities in the world. I happened to be at Peter Jackson's post production facility while they were preparing for a Kodak audit of their film developing capability. The tests they were running the day I visited indicated that they were able to process film faster than in Hollywood, which made the NZ facility significantly competitive over the Hollywood counterparts. It is less well known that a NZ company has produced the world's smallest GPS positioning device. 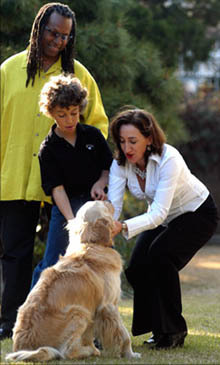 Other examples. Kiwi who just sold his... for x$$$million. These are associations I would like Koreans to make when they think of NZ. As much as I love the kiwi bird, I sometimes think that it sends a very confusing image of our national identity – small, nocturnal, flightless. In reality, NZers are innovative, dynamic and well aware of the world around them. You'll never find a more well traveled and more globalised group of people. This is the image of NZ that I want to promote here. Korea is itself a country which has used science and technology as an engine for its spectacular economic growth. I was most impressed by a video that was shown during the 50th anniversary celebrations of the Korean Institute for Science and Technology, which transported the viewer from grainy black and white pictures of humble peasants immediately following the war, through to images of the science based super economy of today. I do believe there is scope for scientific collaboration between NZ and Korea. A memorandum of understanding was signed last year between our respective science funding agencies. Already there has been a series of exchanges, and I am optimistic that from this will shortly come some proposals for joint research and other collaborations. I would love to see commercially viable projects develop from these linkages and relationships. I do accept that there are disparities between NZ and Korean science sectors, in terms of size and resource. We need to focus on those niche areas where NZ is competitive, such as biotechnology. And I need to get across the message that small is sometimes an advantage. Small is nimble, flexible, creative, problem-solving. The mutual benefits are obvious in the film area. It's a natural match. A particular pleasure of my job is to show Korean film makers all that NZ has to offer. Within a relatively small geographical footprint, we can provide locations from mountains to lakes to deserts, to city centres. Importantly, all this is now supported by a film-friendly infra-structure. And supported by the very best in digital technology. There have already been a number of successful projects and joint ventures filmed in NZ. Later this year filming will begin in NZ on Korea's largest budget movie to date. Currently work is underway on what sounds like a particularly appropriately quirky concept for a NZ production – "Black Sheep" the story of a genetic engineering experiment gone horribly wrong, as a result of which sheep rule the world. Thank goodness for NZ's economic reforms which at least have approximately halved the number of sheep in the country. Even 40 million sheep might seem a bit excessive, but it was not so long ago when we had 70 million sheep for NZ's 3 million people! These kinds of joint ventures – as well as being creatively interesting – are important and significant investment flows into NZ. I want to see more Korean investment into NZ. This is perhaps a somewhat underperforming part of the economic relationship. There is some Korean investment, eg forestry, real estate, and now film. But given the World Bank has deemed NZ to be the easiest place in the world to do business, largely due the lightness of our regulatory framework, I would think there should be scope for much more. I will also be talking up NZ education services while I am here. We already have about 18,000 Korean children and young people coming to NZ each year for studies. Korea is now NZ's second largest source of overseas students after China. Value of ed services is x. The vast majority come for English language studies, including many at primary school level. And a reasonable number – some 3000 – are in NZ tertiary institutions. We want even more young Koreans to come and take advantage of NZ's quality education facilities. I strongly believe that the relationships these students develop during their time in NZ will lead to future business and political relationships that will bring our countries even closer together in ways that I can't fully predict here and now today. I also want to see more linkages developed between New Zealand and Korean universities. We want young NZers to be able to access the very best academic institutions that Korea has to offer. Lest you all think that I am skirting around the issue that is on everyone's minds, let me tackle our FTA aspirations head-on. I will not be coy about the fact that NZ would welcome the opportunity of negotiating a Free Trade Agreement with Korea, and advocating NZ's case is of course a key aspect of my job here. But I wanted to first paint for you a more complex picture of our economic interests than a simple exchange of goods and services. This is because in my view what an FTA does is bring economies closer together in a subtle and multifaceted way. It is not just about removal of tariffs, it is about strategically positioning economies in a way that they may develop together over time. I spent several years working on the Closer Economic Relationship between NZ and Australia, at around the time of the 20th anniversary of the original agreement. From my vantage point I could see very well that the outcome had surpassed even the most visionary of the drafters of the original agreement. The treaty binds our two countries – and more importantly, our two peoples – in a deep and pervasive way. It should be no surprise to you that I am a firm advocate of bringing our economies even closer together. Europe has now managed to amalgamate 450 million people and x number of vastly different cultures. How is that two countries as close geographically, historically, economically, and socially, as Australia and NZ cannot overcome the remaining differences. So what are our chances of initiating FTA negotiations with Korea? You know as well as I that FTAs are still a very sensitive issue here in Korea. Trade Minister Kim reminded us a few weeks ago that one of the reasons that set him down the track of developing an FTA strategy for Korea was the realization that of all the countries in the Asian region, only Korea and Mongolia had not embarked on the FTA track. So when we feel frustrated at the sensitivities that are a current impediment to negotiations, I think we need to remember that Korea has come a long way very fast in terms of recalibrating its trade policy. Trade liberalization is essentially a good thing, and we should welcome that fact that Korea has now joined the trend. The process of negotiating its current suite of FTA's will stimulate reform and restructuring in the Korean economy that potentially will benefit many. But I also don't need to tell this audience that the FTA track carries real risk for those economies that are not included in the arrangements. Trade diversion is an inevitable consequence of the proliferation of FTAs. New Zealand feels this very keenly here in the kiwifruit market, where Chilean kiwi fruit exporters will shortly enjoy tariff free entry to Korea under the Chile-Korea FTA, but NZ exporters will still face a 45% tariff. We have already seen NZ start to lose market share, and the grim news for our kiwifruit producers is that this will only get worse. There is a point at which the NZ kiwifruit industry's innovations and cost effectiveness will simply not be able to compete against the sheer burden of the high tariff. That is why NZ, for whom a level playing field is so fundamentally important to our well-being, must always place priority on global trade liberalization through the WTO, and why we will always have high ambitions for those negotiations. So my aspiration would be to see a successful outcome to the current Doha Development Agenda negotiations. Unfortunately the news from Geneva is not particularly promising at the moment. The 30 April deadline set by Ministers in Hong Kong last December has been missed. No new deadline has been set, though there are expectations of some sort of political stock take in the form of a ministerial gathering in Geneva in mid-June, and there are a couple of other opportunities for Ministers to discuss the situation in the margins of other upcoming meeting. But the recent reporting I've seen from Geneva reports pessimism among Geneva delegations, exacerbated by reactions to President Bush's decision to change trade negotiators at a crucial stage in the WTO process. On agricultural market access, domestic support and non-agricultural market access – positions among key players are far apart. There are also large unresolved issues in other parts of the negotiating agenda. There has been some speculation about the renewal of the US's Fast Track/Trade Promotion Authority, but we still have to assume we have only until the end of the year to complete the deal, including the drafting, checking, renegotiation and verification of detailed schedules and full legal texts. The timetable is now desperately tight. Key players continue to show high levels of commitment at political level. There is no evidence anyone is positioning to bail out or pull the thing down. Big players continue to emphasise ambition rather than lowest common denominator. There are no headline breakthroughs on the substance, but there has been some significant progress since Hong Kong. The "Architecture" of the deal now in place or coming together on most issues, even if positions remain far apart on ambition/numbers. New Zealand is under pressure with respect to Fonterra's quota allocation. Our main kiwifruit exporter, Zespri, may also suffer collateral damage from US/EU push against single desk exporters. But there are potentially good results from export subsidy elimination, cuts in in-quota tariffs for agriculture, formula cuts on some agricultural products, along with limited but useful formula and sectoral results for non-agricultural market access. The Uruguay Round delivered gains worth around 1% of GDP and our working assumption is that we can hope for something comparable from Doha. Those gains aside, it remains important for NZ to get a positive outcome that will help preserve the integrity of the rules-based multilateral trading system and dispute settlement system. Failure of the Round would put those things at risk – something we as a trading nation cannot afford. So NZ will continue to work hard to try to contribute to as positive as possible an outcome to this round. A NZer, for example, is chairing the Agriculture negotiations, and we have a very active and competent Trade Minister undertaking a very busy travel programme. We do meanwhile also pursue opportunities for bilateral trade deals. In addition to CER, NZ now has FTAs with Singapore, Thailand, and a Trans-Pacific agreement involving Chile-Singapore and Brunei. We are currently negotiating with Malaysia, with ASEAN and with China. The Chinese negotiation is particularly interesting, in my view, as one might wonder at the disparity in size, and ask the natural question about what might be in it for China. We are very pleased that China selected NZ as the first "western style" economy with which to negotiate a closer economic partnership. I think there are some important lessons in here for my aspirations vis a vis Korea. It reinforces the point that an FTA is not only about the size of the additional market access secured, but about political relationships and positioning. So I will continue to advocate NZ's case here in Seoul, and I will be looking to you all for support in this mission. I realize that I have spoken for my allotted 30 minutes, and you will be wanting to finish your breakfasts, and get on with your working day. But I can't conclude without bringing us back to where I started, namely NZ's place in this region. Peace and stability in this region is the fundamental underpinning to NZ being able to continue to pursue its economic prosperity and economic transformation with its partners in the region. That is why NZ has and will always contribute as effectively as it can in the region's security arrangements and architecture. And this is an area where NZ has traditionally contributed generously. We contributed more soldiers per capita than any other country in the Korean War, except the US. We continue to have more soldiers stationed within UNCMAC than other sending states, except the US. I regard supporting the contribution of the NZ Defence Force to be a key element of my role here. I want an active, constructive dialogue with my Korean hosts on the full range of security issues of importance to us both. Increasingly these issues are transnational in nature, such as avian flu, drug trafficking, climate change, and require multi-partner solutions. Working cooperatively with Korea and others in the region is critical. Of course, the situation on the Korean peninsular is, rightly, a particular preoccupation and concern for an Ambassador in Seoul. New Zealand was one of the first countries to establish diplomatic relations with Pyong Yang from Seoul, very much in response to ROK's encouragement. We are of course not one of the key parties. I am realistic about my impact. But I believe that my contribution can none the less be valuable, if only to show Pyong Yang that the concerns of some are shared by a wider global community. I hope to have my first visit to Pyong Yang in June. And perhaps my experiences there might be of interest to you at a future breakfast session. In conclusion, let me again stress the importance of Asia to New Zealand. The region is highly relevant to NZ. And it is a place where NZ can show its relevance. If I can leave here in three years time with a clear sense that I have contributed in some way to fostering and heightening that mutual relevance, then I will be able to feel that I have done a good job for my country.